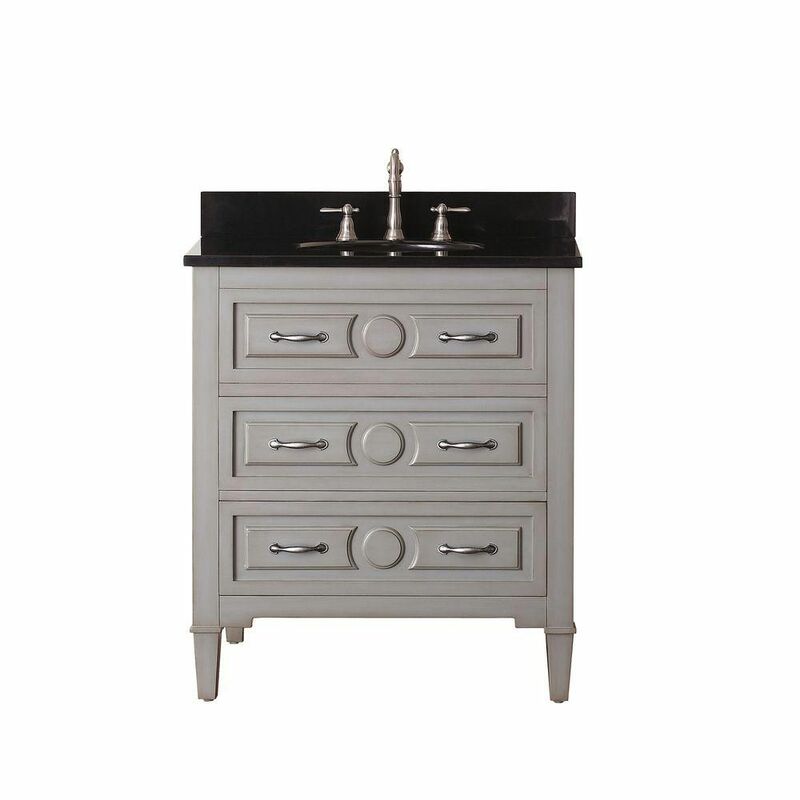 This transitional Milano is a perfect size for your powder room. It is constructed with solid birch wood in an understated Light Charcoal finish. This design will flow with all your furnishings and bath decor. It also has storage with a bottom drawer and soft-closure glides. The vanity combo includes a black granite top and rectangular undermount sink. Bring a fresh, traditional look into your bathroom with this vanity. Made with a special grey solid wood base and a beige tan marble counter, this piece will make your bathroom look even nicer. This simple vanity set from Avanity will fit right into any bathroom decor. Kelly 31-inch W 2-Drawer Freestanding Vanity in Grey With Granite Top in Black For some added traditional style in your bathroom, choose this beautiful vanity. Its black granite counter and grey solid wood base are very easy on the eyes. Put together your perfect bathroom with this stylish vanity set from Avanity. Kelly 31-inch W 2-Drawer Freestanding Vanity in Grey With Granite Top in Black is rated 4.0 out of 5 by 1. Rated 4 out of 5 by Nadia from The only complaint I have about this vanity is that... The only complaint I have about this vanity is that when I changed the drawer handles, thus taking off the foam/gauze protectors on either side of the handle, when the handles were attached (arrived with handles on inside) they over drilled and you can see part of the hole on the vanity face.